The Buddha divided questions into four types: those deserving a categorical answer, those deserving an analytical answer, those requiring cross-questioning before he would answer them, and those he would put aside. This course aims at understanding these four types of question- answering strategies, what they tell us about the style and content of the Buddha’s teaching, and how using these strategies to understand the Dhamma and to question ourselves can be a valuable tool in the practice. There is a non-refundable $50 administrative fee to register for this course but no additional fees. 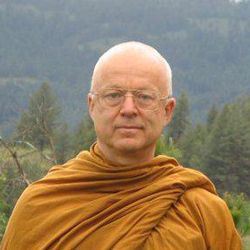 To recognize the role of the four types of questions in the Pali Canon as a form of style and content in the Buddha’s teaching; understand how these four types of question-answering strategies can be a valuable tool in one's understanding of the Dhamma; and understand how these four type of question-answering strategies apply to one's practice of the Dhamma.